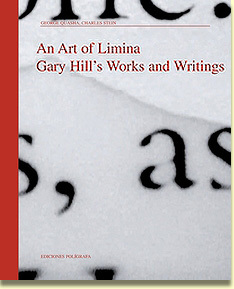 With 640 pages and more than 900 illustrations, it is the most comprehensive and in-depth treatment of Gary Hill’s work to date, written in close connection with the artist, and offers an essential theoretical and scholarly frame for continuing study. 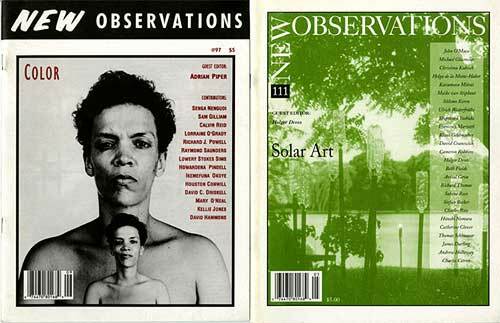 Preview: Thursday, September 29, 6–9 p.m.
New Observations is re-launching its historic magazine at MoMA PS1 NY Art Book Fair, September 30–October 2, 2011. The guest edited magazine, with 128 back issues, foreshadowed many of the trends in electronic publishing by artists all over the world, today. Since inception, each issue, guest edited by a chosen Artist, devotes itself to a strategic cultural theme. The first new issue, #129 debuts in 2012, guest edited by Lance Fung and Joshua Selman. The enormous project of making the archives accessible to the public in a contemporary and inspiring way requires your help through donations and purchases. 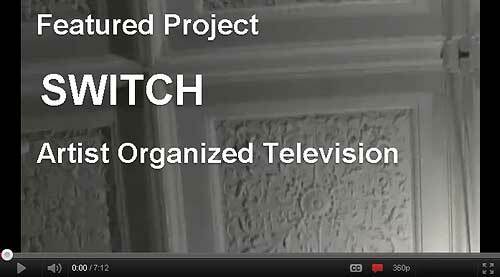 An interview with the Creative Director, Jessica Higgins and Producer, Denis Luzuriaga, of SWITCH, a new art for television project syndicating throughout Massachusetts. The discussion examines global participation in a local media market. The project is produced in Holyoke Massachusetts, the future home of a High Performance Computing Center. Built on a canal system, Holyoke produces more hydro electric power than it uses. It’s a rarity as an American carbon negative city. 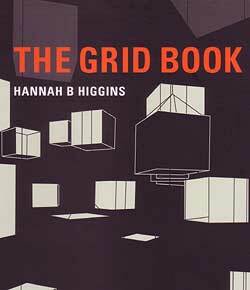 For SWITCH, Jessica Higgins is bringing intermedia together with an open, experimental approach to public television. Denis Luzuriaga is producing for local television to position material for a specific community, yet include a forum designed for millions of people. Together they have launched a seriously playful project that reverse engineers the global audience. Jihyun Song covers the Paul D. Miller (DJ Spooky) launch of The Book of Ice (2011) at Art Center Nabi, Seoul as part of the 2011 Gwangju Design Biennale. The article features raw video, by JiHyun Song, of DJ Spooky at the Art Center Nabi in a public meeting regarding the transformation of Antarctica and the use of art to protect its sovereignty. 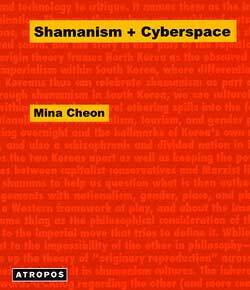 The article by JiHyun Song includes information about Paul D. Miller, known by his stage name DJ Spooky, That Subliminal Kid, and about contributors to The Book Of Ice, Brian Greene and Ross A. Virginia. The article provides a link to a free sample of The Book of Ice as a pdf download. Additional information is on Seung H-Sang and Ai WeiWei, curators of the 2011 Gwangju Design Biennale, the Gwangju Biennale itself and about Art Center Nabi in Seoul.